To get your computer repaired, bring it into our shop on Shaftesbury High Street, no booking required. We’ll have a brief chat about the work required, take some contact details, and then call you back when we’ve completed the work. Typical jobs vary from a few to several working days, depending on our current workload. Advanced booking is not required, but if you have special requirements, such as next or same day service, we advise calling us in advance to check how busy we are. We do also offer a priority service where we will begin work right away. This will drastically reduce the wait time, but keep in mind that some jobs simply cannot be done in less than 24hrs. If you have a laptop, be sure to bring your charger with you. We usually have common chargers, but we may not have a match for your laptop. If you have a desktop computer, we only require the tower unit, none of the cables or accessories. Just like a car, computers need a service now and then to keep them running properly. We can often bring a computer up to or over it’s factory speed with a general tune up - all on our fixed-fee pricing. At the same time, we look for ways to improve the system, and we also test for potential faults that are developing, but not yet noticeable, so you can take action before a serious failure occurs. 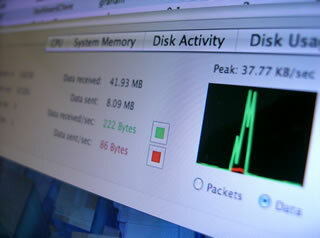 Don’t live with faults and quirks from your computer- get them fixed! We go straight to the root cause of the symptoms your computer is suffering with, so the fault is fixed properly, and not simply bandaged or worked around. As with all our work, we take great steps to minimise disruption to your personal data and settings, and in the event of hardware failure, we go the extra mile to recover potentially lost files. Repairs are charged at a flat-rate for labour. Spare parts costs may vary - but we always notify you of any charges before hand, allowing you to make an informed decision on the action we take. Collectively known as Malware, malicious software is the bane of all computer owners, and the latest malware is specifically designed to mislead users into handing over personal information- often while claiming to be protection software. We painstakingly investigate the effects of all malware we encounter, so we know best how to deal with it on your computer while protecting your data. While some engineers deal with malware by restoring it to factory defaults (erasing all your files), we’re experts in preserving the system state, and taking the necessary steps to ensure your computer’s security is as good as it can be. Malware removal is offered at our flat rates, and guaranteed for 30 days, so in the unlikely event of reinfection, we will review our work free of charge. 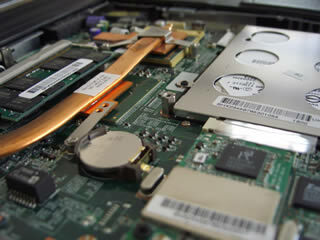 Hardware repairs are performed in house by experienced engineers. We can replace any major component from broken laptop screens to buzzing cooling fans. Always seeking to improve your computer, we offer uprated parts as well as like-for-like replacements. For example, if your computer’s hard drive should fail, we can replace it with a higher capacity drive, giving you more space for movies, music and photos. Some repairs are not as simple as swapping out major components. We specialise in advanced repairs to hardware, including electronics-level repairs and component refurbishment. Many faults that others may consider a write-off maybe routine procedure for us- so be sure to ask us before accepting the worst-case scenario! Unlike many repair shops, we’re experienced Mac users, so we won’t stare blankly at your shiny Apple and turn you away. All of our above services are available to Mac users- and at the same price as well! Watch us work on YouTube!